We had been to Latin restaurants the past three outings, so when Eugene mentioned the unnamed Bolivian place as a potential destination, we gently suggested another cuisine. Eugene took our suggestion to heart and came up with an alternate pick. 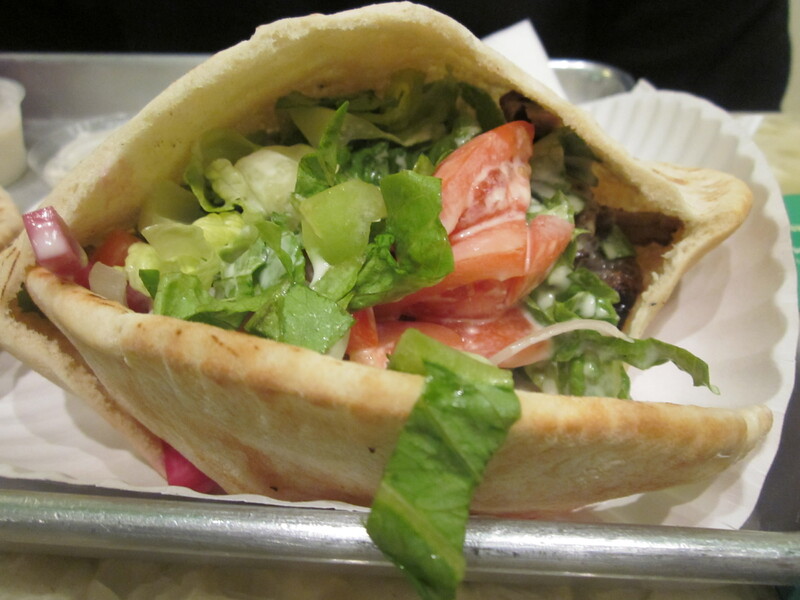 “Why, out of the thousands of falafel joints in this town, did you decide on Amir’s?” I asked wondering about the logic of Eugene’s choice of Amir’s where, on this night, just four of us were assembled. I should have known, however, that logic never factors into Eugene’s decisions. This is a man, a native of the New York suburb of White Plains, who always goes out of his way to root against all New York teams; a man who claims allegiance to other teams, most from Boston, but really gets his sports’ jollies more from a New York team’s defeat than one of his own teams’ victory. That there were only four of us at Amir’s was probably a good thing. The small, eat in/take out place would have been a challenge for our usual brawny six. And it was probably better that Zio spend his wedding anniversary with The Colonel rather than dining on something he could get at a street cart closer to his love nest in Astoria. 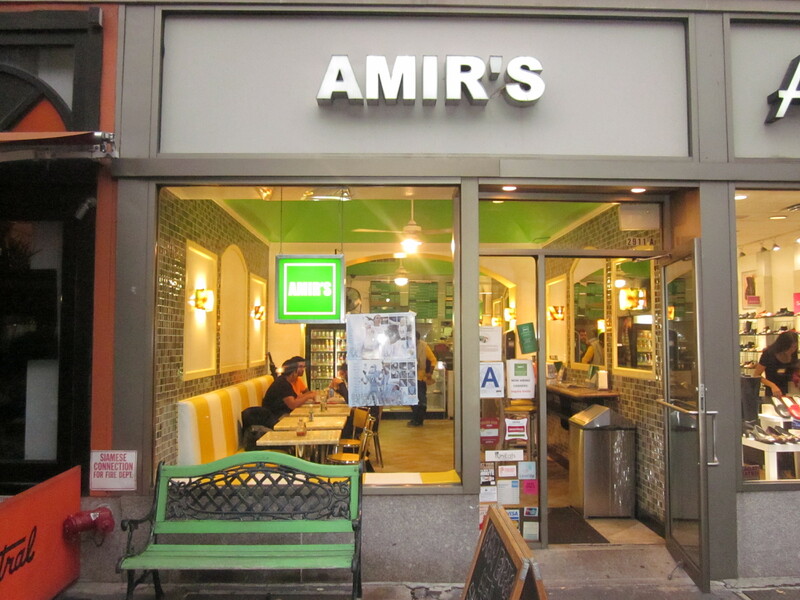 The question was, would what he could get at the street cart in Astoria, or at any of the other countless falafel places in the city compare to Amir’s? After our brief outing; ordering from the typically middle eastern falafel menu; falafel, hummus, babaganoush, along with what now are called “proteins” on many menus meaning meats; shawarma beef, chicken, and kebabs, the verdict, sadly, was yes. 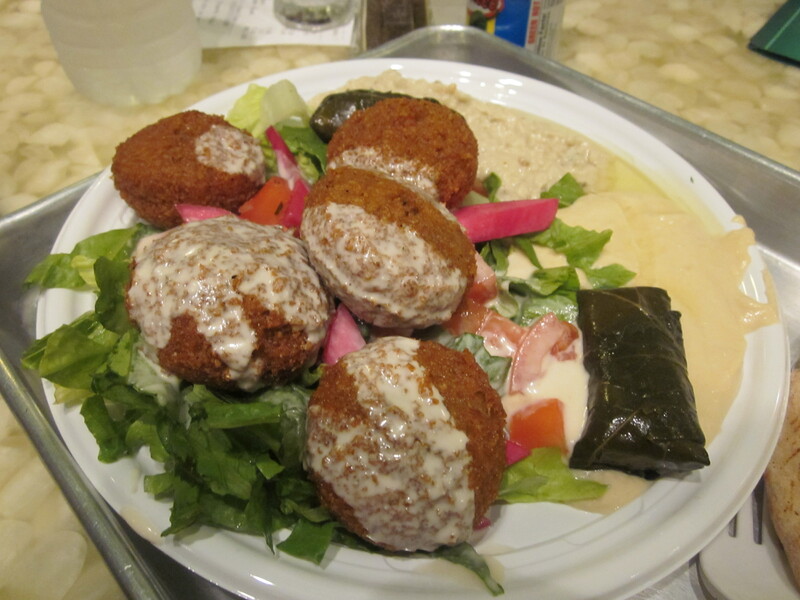 Though Amir’s falafels were relatively light, not drenched with oil, slightly sweet, and above average on the unofficial falafel meter, they were no more distinguishable than Mahoud’s, Ahmad’s, or any other above average falafel joint in the city, of which there are hundreds. There’s protein somewhere in there. 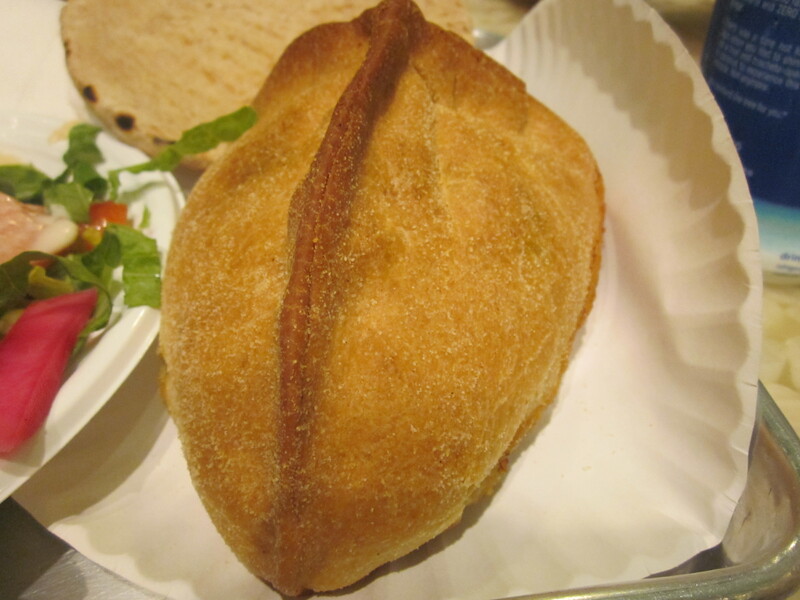 The “protein” that Rick tried, a shawarma beef sandwich in pita, was not worthy of veering from the falafel while the “popeye,” a spinach pie Gerry bravely ordered, had an outer shell that to penetrate required the muscles of the cartoon character of the same name. “I think it’s Morningside Heights,” Rick offered. “The Upper West Side,” I said. “It’s nice here,” Eugene added, successful in veering the conversation to real estate and away from falafel. We muttered collectively and though the meal was not as satisfying as we are used too, took solace in knowing that there was Bolivian food sometime in our future.